In a deep skillet, fry the bacon until nice and crisp; set aside. Drain all but 1 tablespoon bacon fat from the skillet. Season the chicken thighs with the olive oil, 1 teaspoon crushed rosemary, 1 teaspoon dried thyme, 1 teaspoon salt and some fresh ground pepper. Add the butter to the bacon fat in the skillet. Layer the seasoned chicken thighs in the skillet. Cook thighs on medium heat until bottoms are brown (5 minutes or so); turn over and brown the other side. Add the onions, garlic and potatoes. Season with remaining crushed rosemary, thyme and additional salt and pepper. Add the wine and stock. Bring to a boil; reduce heat to low, cover and simmer a minimum of 30 minutes. Crumble the bacon and sprinkle on top. Serve. This recipe has been shared on Tickle My Tastebuds Tuesdays, The Pin Junkie, Inspiration Thursday, Throwback Thursday, Fiesta Friday, FoodieFriDIY, Weekend Potluck and Funtastic Friday…go check it out and then go visit some other great sites! 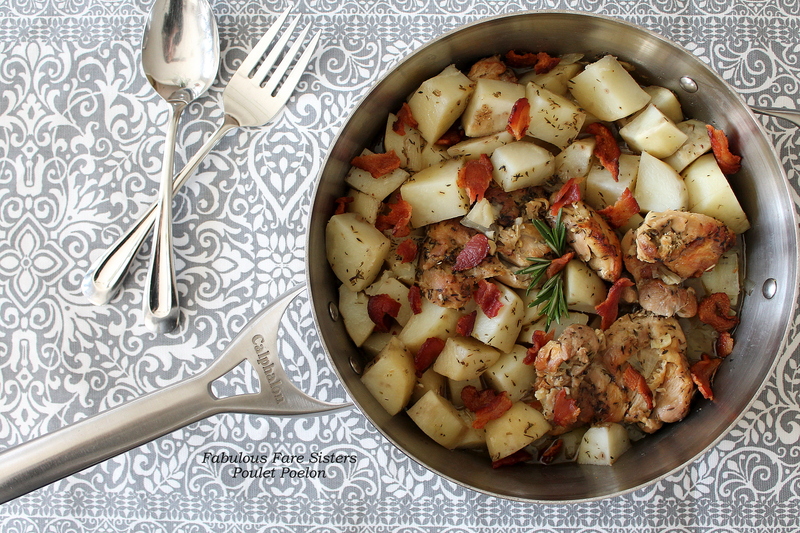 Oh man, one pot dishes are so great. This sounds delicious. Thanks for sharing this at Fiesta Friday #117! THis looks so tasty and what a classic. Thanks for linking up with us on Throwback Thursday! And with Fieta Friday!! Happy FF! Something as tasty as this deserves a fancy name like that, that’s for sure! Really mouth watering Linda. Love it. You had me at bacon. Trying this for sure..thanks! What a lovely easy meal for a weeknight! Thanks! The potatoes in this picture look so enticing! 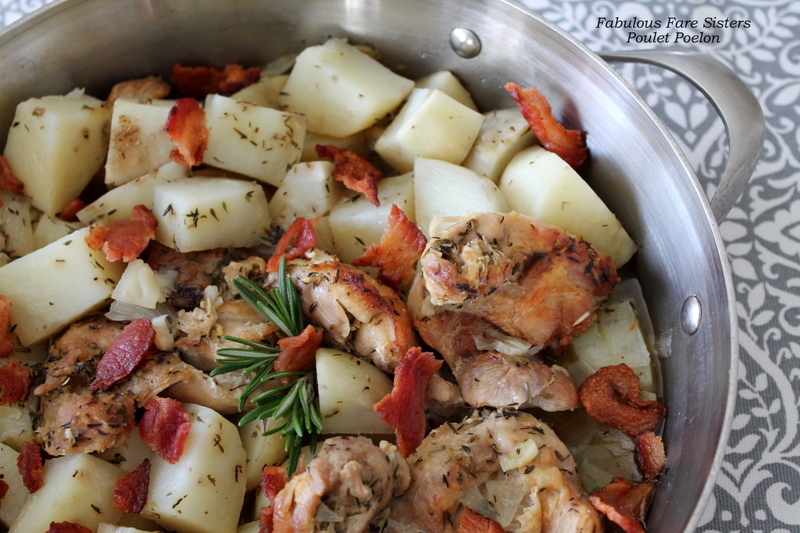 One pot and bacon? Those two make a winning combination. I can’t wait to try this. Thank you.